”ACC registered robust revenue growth across categories and geographies, with an increased focus on premium products and a targeted approach to customers and markets, delivering strong top-line growth. ACC's strategy remains focused on fundamental value drivers which reflect our priorities to support our customers and deliver attractive returns for our shareholders. Our performance over the last four quarters demonstrates our ability to remain ahead of the market challenges that have partially impacted both costs and the development of our markets. We will continue to focus on cost improvements, profitable revenue growth and innovations that create new value." 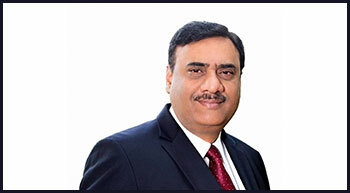 said Neeraj Akhoury, Managing Director & CEO. ACC Ltd, a member of the LafargeHolcim Group, is one of India’s leading producers of cement and ready mixed concrete. It has over 7800 employees, 17 cement manufacturing sites, 57 concrete plants and a nationwide network of over 50,000 retail outlets to serve its customers. With a world-class R&D centre in Mumbai, the quality of ACC’s products and services, as well as its commitment to technological development, make it a preferred brand in building materials. Established in 1936, ACC is counted among the country’s 'Most Sustainable Companies' and it is recognized for its best practices in environment management and corporate citizenship. Net Sales during the quarter surged 30% to Rs.3,417crore compared to Rs.2,625 crore for the same quarter last year. Operating EBITDA for the quarter registered a growth of 54% to Rs.443crore as against Rs.287 crore during the previous year’s quarter despite sharp cost headwinds. Operating EBITDA for the full year 2017 was Rs.1,912 crore as compared to Rs.1,478 crore in the previous year, an increase of 29%. The cement business grew volumes by 27% during the quarter on YoY basis, as a result of a stronger focus on premium products and improved customer service levels, despite challenges such as sand availability constraints and subdued urban housing trends due to RERA compliance. The quarter was impacted by an increase in cost of imported coal and petcoke, slag prices, limited availability of linkage domestic coal forcing a shift to costlier fuel sources, and the ban on petcoke usage in NCR States. Despite this, our determination to optimise costs and improve productivity, enabled operating costs to remain at par with the previous year. The company’s ready mixed concrete sales volumes grew substantially by 19% during the quarter as a result of focusing on the infrastructure, commercial and realty segments. Volumes also grew thanks to a higher share of customized concrete solutions and increased sales of value-added special products. The Board of Directors has recommended payment of final dividend at Rs.15/- per share of Rs.10/- aggregating to Rs.339.02/-crore (including tax on dividend). The total dividend for the year 2017(including the interim dividend of Rs.11/- per share), adds up to Rs.26/- per share aggregating to Rs.587.64/- crore (including tax on dividend). The announcements in Budget 2018 indicate the government's thrust on infrastructure development and increased rural spending through measures aimed at reviving the rural economy. The significant increase in the budgetary outlay for infrastructure development which includes railways, roads, highways and irrigation projects, the investment in smart cities and a sharper focus on the affordable housing segment is expected to drive growth during 2018. As India continues on a sustained growth trajectory, cement as a core sector will benefit from the country’s growth.